The journey that began with the motto of offering laparoscopic surgery in India. This July' 2018, it completed 18 successful years of operation. The day was celebrated with all its glory. KOLKATA, India - July 23, 2018 - PRLog -- The prevalence of laparoscopic surgery was very limited in India until ILS Hospitals established its first unit in Salt Lake. It was established as a pioneer of this scarless, painless and bloodless surgery technique. With time, it established 2 more units in Dum Dum and Agartala. With time, it started to spread its horizon even more. As of now, it addresses more than 50 medical domains. ILS Hospitals also offers several health packages. These ensure that the people can keep track of their health. 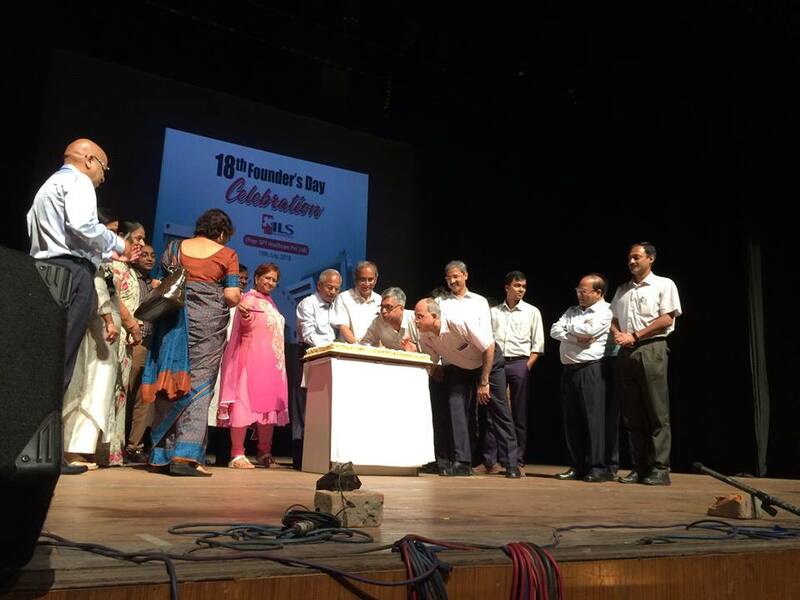 Recently, it observed its 18th Foundation Day. It aimed to ease the minds of the personnel who tirelessly dedicate their time and lives for the patients, all around the year and also to encourage them to do even better in the future. Mr. Ashutosh Tyagi, an ILS Hospitals associate comments, "I have been working since the very beginning. In fact, I still remember the day its founding stone was laid. We have turned 18 in 2018. We celebrated this day with joy and enthusiasm. We feel proud to be a part of this hospital family and promise to deliver even more as well." Apart from offering quality services and health packages, ILS Hospitals takes other healthy initiatives from time to time. It also recently distributed bins in the city to promote the cleanliness and awareness. It is all set to establish two more units in the different parts of the city, to contribute towards healthcare. ILS Hospital is one of the leading healthcare provider brands in Eastern India. Predominantly it established its presence as a pioneer of laparoscopic surgery in India. Eventually, it became a renowned healthcare facility for the people from all over India and abroad. It provides affordable treatment for several domains.